While the film criticism of Otis Ferguson has not been totally forgotten, it is certainly in a dire state of neglect. Knowledge of his work, its importance and history, has a distinctly “oral” or “folk” air to it. Hence this article will work to revise or at the very least add a new dimension to the understanding of one of the most quietly influential critics in the history of American movies. A close examination of a selection of his articles provides us with the opportunity to reconsider his criticism on many fronts: the “folk” realism/naturalism that our critic practised; the mutable voice that he controlled and altered for different perceived readerships; and, finally, the unusual technical knowledge of the medium that he owned and displayed only at calculated moments. Contrary to the popular claim that he dogmatically favoured products of a supposedly lowbrow or folk spirit, it will be contended that Ferguson did not, as Alfred Kazin alleges, “fear or despise high culture” (1). His sensitivity to folk art and adherence to what has been termed a “realist paradigm” (2) are not so stringent as to exclude support for films that are at first glance quite “theatrical” in all senses of the term (3). Films beleaguered with artifice at some level or other did not always garner disdain from our critic, nor did ones that were adapted from theatre and literature for that matter. Developing a doctrine from a transcendent perch and imposing it on films on a weekly basis was not Ferguson’s approach. Aware of the inadequacy of the criticism of his time, of its predilection for being “obediently dull and uninformative”, and in this way “unworthy of so lively and immanent a subject” (4), he avoided bringing a predetermined disposition to film and instead allowed film, a “complicated, vast, popular and amorphous” art, to come to him in whatever shape it took (5). “The movies have a hard time in the court of criticism”, comments Ferguson, “finding themselves generally in the position of being guilty until they prove themselves innocent.” He avoids this trap, taking the side of and acting as a mouthpiece for “those who know how a picture is made” but “keep their mouth shut and continue to make pictures” (6). As such, he was one of the earliest film commentators to display modesty before the medium and its prospective audiences, accepting the fact that criticism is a second-hand activity. Filmmakers do not need to make films or write about Ferguson, but Ferguson, as a critic, needs to write about filmmakers. Because his cumulative writings with their variegated interests do not form a single coherent argument, Ferguson’s brand of realism is slippery, beggaring attempts at systematic reconstruction. What must be said at the outset is that his ability to support his belief in film’s “realistic” tendencies with sound formal or stylistic analysis made his contribution to American film culture original and unquestionable. In a context where critics like William Troy and Mark Van Doren were defending the claims of film as a legitimate art form with prose, impressions about content and little else, Ferguson clearly separated himself from the pack. Van Doren and Ferguson, the reviewers of the two leading magazines of liberal opinion, differed greatly in their attempts to describe the significance and immediate impact of the film medium in the thirties. Van Doren, although he retained a certain degree of seriousness expressed by his predecessors in the Nation, failed to extend the nature of film criticism beyond the prose style found in the typical book review. Rarely did Van Doren’s greater preoccupation with the foreign screen, film traditions and significant literary content enable him to surpass Ferguson’s more light-hearted yet perceptive analysis of the movie medium (7). In terms of prose style, level of engagement and technical knowledge, Ferguson, as we shall see, outshines the other critics of his era. From 1934 to 1942, he held the post of film critic at The New Republic, one previously shared by a motley group of visiting commentators. As Lounsbury states, film critics at The New Republic throughout the 1910s and 20s demonstrated “varied” critical acumen (8). Ferguson was New Republic‘s first truly consistent reviewer in terms of sheer regularity as well as quality of perspective (9). “Life Goes to the Movies”, written for Films in 1940, might be taken as his critical credo and as a guide to his purported “realism” and his “folk” outlook, permitting us to fill in the incomplete picture of the “realist paradigm” generally attributed to him. Beginning with a discussion of “the categories in art of realism and naturalism” he argues that these have been merely “conveniences of designation” when applied to “such forms of expression as music, painting, writing”, for realism is “hardly possible” in crafts which make “the men in them a different breed”. But when applied to film, these concepts, animate with notions of “the truly natural and unforced, especially as applied to the ways of common life”, acquire potency. The movies are, after all, “the nearest thing ever imagined to the unaffected and unconscious process of life, as expressed in art”. While he soberly admits that this claim “requires a lot of qualification” and “will be hooted at in some quarters anyway”, he proceeds to offer the suggestion that movies tender a new level of aesthetic authenticity. We have learned, every man jack of us, only a tiny fraction of life from our personal experience. The main body of knowledge is handed down by word of mouth… The point which I will not labour another minute is that in all fields of presentation the world is seen through somebody else’s glasses – which have been ground into a cunning instrument just as the good oculist would grind at his work: partly by inspiration, partly by relentless application, but mostly by the best use of the best tools and precepts developed in his own guarded craft. In their 40-odd years, the movies have developed their high craftsmen, and gradually out of the craftsman’s effects, an art. The movies were upon us before anyone had time to grow up and become a professor in them. They literally grew out of the people, the hundreds and thousands of people who jumped in to produce, distribute, exhibit, write for, or act in a popular commodity; and the millions and millions whose demand for some kind of excitement or relaxation as available and easy as the funnies, has made the whole sky-high fantasy not only real but inevitable. The legend has it that any business man, or even college man, can jump in, learn the ropes, and become a producer with some bold or clever stroke. The legend has it that any grip on the set with ideas can substitute for an assistant cameraman someday and become Darryl Zanuck. The legend is that a director spies some handsome filling-station boy, readies him in a few pictures, and a star is born (12). Thus film is born by virtue of the acquired knowledge and personal experience of thousands of craftsmen. Cinema arises as a result of the co-operation of many, “for the people and by the people”. Ferguson, it goes without saying, does not buy all sides of this kind of claim: “Legend is usually a good part hogwash”. Nevertheless, there is a kernel of “justice” to these legends and their transmission. Most directors, producers, actors, and distributors of his time did come “from the vulgar”, and this because the first movie theatres had been “houses of shame” for “intellectual classes” (13). Ferguson believes that film is the art form best suited to provide “a slice of life” in whatever shape it takes. “In theory”, he argues, the distinctive naturalistic quality of movies “owes most to the fact that the films combine both immediacy and an almost boundless range as to time, place and fancy” (14). The filmic experience is more immediate – almost unmediated – than any of the more established arts, prompting Ferguson to call upon the reader to witness the medium’s formal distinctiveness and thematic adaptability. “It was only with the full flexibility of the camera and the added latitude of sound”, he maintains, “that [movies] really had time and scope for the hundred and one details that, observed in the film’s motion without checking it, take an action out of stylised presentation (however effective) and make it completely natural” (15). This perspective is certainly more accepting and forward-looking than that of Rudolf Arnheim, who, in Film as Art most famously, stubbornly refused to acknowledge the positive impact the coming of sound would have on the art. To speak with greater precision, in “Life Goes to the Movies” three broad notions of film realism are detectable. First, there is the aforementioned emphasis on the adaptability of the medium, its ability to capture and dramatise even the most immediate or contemporary of topics. For convenience’s sake, we might term this film’s “social realism”. Second is its ability as a form that combines moving photographs and recorded sound to recreate the “environment” of life. Here Ferguson the aesthete emerges as he calls attention to the sensual aspects that couch and quicken the nuances of the lives of those depicted on screen (16). This might be termed “dramatic realism”, pertaining to film’s special dramatic force and the truths it can mine about workaday living. Otherwise put, it refers to the feeling of “real presence” that movies are capable of creating, as they acquire dramatic potency by being built “from the ground up”. His third notion is that of “folk or collaborative realism”, or the closeness of movies to life by virtue of their being made by the hands of hard-working “simple folk”. When “we say that a film is a good picture of men working (as we often can)”, he carefully illustrates, “we recognise the understanding and talent of many people outside the actual men at work in the story” (17). Taking these components of his realism into account, we can say that Ferguson’s search is ultimately for a vocabulary that will permit him to record the manner in which a given film has gripped him. Accordingly, approximately mid-way through the article he – very briefly – calls the terms “realism” and “naturalism” and all other conventional vocabulary into doubt. “There are not words enough yet for the different ways in which movies affect us”, he confesses. From his awareness of these limitations, I hypothesise that “realism” and “naturalism” are used by our critic for lack of anything better, for when these terms are applied to two or more seemingly similar films, upon closer inspection they are exposed as insufficient for distinguishing their respective potencies or overall values. Ferguson only uses the terms in the most loose and idiosyncratic ways, rarely on their own and then only when he has no other choice. Given the proper facilities and scientific advice, anyone can, me for instance. Out of my window I can see a rather mean-looking tenement. Doors, windows, a sidewalk. Just above, rising over it, is a tall very recent building, elevators apts. electrolux, 1,2,3,4,5 rooms, etc., but wait, we’ll not open here. We will watch the meanness of the mean street by opening on pages 18–19 of The New York Times for last week, dirty and blowing along the mean sidewalk in the morning wind. Dust, desolation. The paper blowing and on the sound-track a high piccolo note – wheeeeeeee – and the empty street, deserted, it is morning. Now (take the shots separately; cut and paste them together afterward): the sky (gray), the house (sleeping), the paper, the sky, the house, the paper (whee). Follow the paper down to, suddenly, the wheel of a milk truck (Ha! truck – life, the city stirs; throw in a tympani under the piccolo for the city stirring) which goes down to the mean house, stops, the driver gets out: follow him with one bottle of Grade B up three flights of mean stairs to a mean door where – stop (23). And this continues for another three-quarters of a page! Ferguson demystifies montage, showing that, on its own, it is not an arcane “cinematic” activity. Not only can its effects be duplicated – with stunning success! – in writing, but it is a practice that takes place in the day-to-day workings of Hollywood (and upon which Hollywood wisely does not rely to define itself as “legitimate art”). This piece alone would seem to debunk Lounsbury’s claim that only “late” Ferguson was confident enough in his knowledge of film practices to “indulge his own directorial hints” (24). Compare this piece with “Make Your Own Movie”, penned in the film-comedy drought of December 1940, in which Ferguson composes his own Marx Brothers sequence (25). Against Lounsbury’s contention I would like to offer the counter-hypothesis that our critic always possessed a certain degree of technical acumen but only displayed it in full form sporadically (and perhaps with greater and greater frequency). As Lounsbury proposes, Ferguson was opposed to the various aspects of the “’culture-club’ mentality of Hollywood”. His assaults on highbrow culture as it was imported to film, his denunciations of Hollywood’s “stuffy insistence on Art”, targeted Shakespearean adaptations, opera-related films (Lounsbury cites the Grace Moore cycle of the mid-thirties), and especially musicals (26). But what Lounsbury fails to mention is that he derides these and other such films not simply for being highbrow but for their various internal deficiencies. His review of Winterset (Alfred Santell, 1936) does not stop at the film’s highbrow theatricality, instead making an effort to enumerate its redeeming qualities and, more importantly, to suggest ways in which it might have made more suitable use of its latently forceful social themes. To rephrase, Ferguson does not tautologically revile films such as Winterset simply due to their supposedly “high culture” sources, but because the narrow appropriation of certain literary or theatrical devices (in Winterset, the dialogue) detracts from the dramatic potency that a given film would have had without them. His criticisms are, as we shall see in the case of Winterset, invariably practical and linked to the work of some craftsman or other, whether it is the cinematographer, an actor, or even the director or writer. Part I of “East River Hamlet” takes Winterset to task in two ways, pertaining respectively to the unimaginative shot compositions and editing and to the film’s fidelity to Maxwell Anderson’s original play. Shot composition is just one element in a “humdrum catalogue of little things” that the film fumbles. And here, Ferguson blames director Alfred Santell “for the slowing down and dispersal of intensity we feel generally”. “Winterset relies too completely on close-ups and medium group shots”, he claims, the result being that actress Margo “seems to float around like a Hubbard squash in a nightmare” (27). Beyond his dislike for the “idea of faces dislocated from background”, he finds Santell’s decision to make of each shot “a thing complete in its frame”, as if it were a slide (“you put it in a slot, look it over, replace it with another”), tantamount to a “magic-lantern show” and thus predictable, overly precious and disagreeable. He then proceeds, over the course of no more than three lines, to display an almost anachronistic awareness of formal composition, breaking the trial scene at the end of the film down into its parade of prosecutor, first witness, judge, jury, and so on, covered as it is with a dull rhythm of “close-up, speech”, “close-up, speech” (28). In “The Camera Way is the Hard Way”, written for National Board of Review Magazine in October 1941, Ferguson demonstrates an understanding of the principle that camera set-up is a fundamental part of mise-en-scène. A report from the set of The Little Foxes (William Wyler, 1941), “The Camera Way” presents us with a schematic breakdown (or “stage plan”) of camera position and movement in the shooting of a minor scene from the film’s exposition. An intriguing and unusual sample of early formal analysis, this piece is fundamentally an exposé of the “tedious and backbreaking work” that “goes into the actual shooting of any Class A picture” (29). Ferguson focuses his attention on the repetitions and little changes involved in the drawn-out affair that is the filming of a Hollywood scene. The job of directing, he argues, parallels musical composition, for it entails constructing “rhythm in motion”, meaning that the director, manipulating the staging of a scene and the positions of the camera vis-à-vis it, must work out the glitches so that the final product shows no sign of the toil it demanded (30). 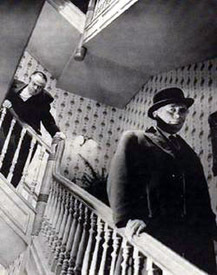 In comparison to The Little Foxes, a film that Ferguson lauds for the “omniscience” of Wyler’s directing, Winterset and for that matter Citizen Kane (Orson Welles, 1941), which is discussed below, are unevenly directed and therefore lack the rhythmical smoothness that is for our critic the true art of film (31). “East River Hamlet” includes an analysis of a marginal interlude in Winterset which sees a homeless man “granted asylum from the sleety black night”. This man, coming in from the rain, requesting permission to sleep under the warm pipes in a basement abode, and then crawling under them and cuddling up in warmth, is totally peripheral to the main action of a scene which is preoccupied with one of the protagonists and his son and their discussion with the film’s amnesiac judge. In fact, as Ferguson correctly hints, the whole affair is rather awkward and disrupts the scene; for no apparent reason, the camera is left on the vagabond, privileging his motions with their own shot. Dipping into his bag of directorial tips Ferguson suggests that the “procedure there should have been to keep the camera far enough back in the whole room, the final frame including both main and minor in their proper relation” (32). In this manner the scene would have maintained its integrity instead of coming off as a series of speeches that needed a break (necessitating the homeless man’s interruption). The bulk of the first part of Ferguson’s review of Winterset lambastes Maxwell Anderson’s original play for its “false-Shakespeare” stabs at soaring verse, criticising the film for remaining too loyal to the play’s “labored anachronism of word” (33). Analysing the dialogue and exposing how it calls unflattering attention to itself, he shows that “all this talk of pismires and carrion and spawn, of I fear me’s and I would fain look back’s, of Nay it avail’s nothings, perjured tails and lies that slew him, of written scrolls, figured veils, raveled tapestries” fails to harmonise with the film’s “lowbrow world” (34). After demonstrating that some of the lines do not even work as written poetry (“A white chalice holding fire, a flower in flame, this is your face”), Ferguson then stops just short of accusing Anderson of plagarising several literary sources. But, he writes, “a larger thing is the constant feeling that modern sense and situation are being warped to fit the superficials of a ‘higher’ but outgrown writing pitch” (35). Not only does Anderson patch highfalutin’ talk onto manifestly modern dramatic particulars and settings ( payroll robbery, false condemnation and eventual restitution in New York from 1920 to 1936), but he does so by borrowing only the surface qualities of this older “pitch”, thus caricaturing the dialogue and mocking the scenario all at once. In the end, Ferguson is offended by the makers of the film, by their lack of confidence in the potential for “high drama” that the basic framework of the original play contained and their consequent decision to ‘elevate’ Anderson’s “good lowbrow melodrama” and make it “acceptable to conscious highbrows by hiring a poetic dress suit and winding on the muffler of terrific social overtones” (36). Film can achieve intensity on its own terms, he would claim, and need not be buttressed with elements foreign to its makers and its audiences. One cannot ignore that by the end of Part II of “East River Hamlet”, Ferguson does lay into “super-literates, wishfuls and snobs”. He mocks efforts to make Hollywood into “something else” as he points out that Winterset‘s pseudo-poetry “would draw a horselaugh from [film’s] own universal audience” (37). But this fails to convey the whole picture. Periodic and forceful displays of distaste for attempts to graft the label ‘High Art’ onto film should not blind one to his belief that the movies are eminently capable of working with, even elevating, literary and theatrical material. His practical critique of Winterset evidences this, as does his lone Theatre Arts piece, “Hollywood’s Gift to Broadway”. Of immediate note is the careful, relatively subdued writing style that Ferguson adopts for “Hollywood’s Gift”. Descriptions of the style that is usually associated with his prose (Jonathan Rosenbaum calls him a “punchy slangmeister” (38)) apply only to the most extreme samples of his work, chiefly to be found among his jazz reviews. While all of his writings rely upon colloquialisms and vernacular phrasing, and to a lesser extent on his signature word-welding (evidenced in his fondness for the hyphen), our critic adopts different voices for different subject matter. And one can only assume that he alters his tone and word choice for each perceived new audience as well (39). Each subject has its own lingo, meaning that, where appropriate, he lays his particular accent on thicker. “So swing, gate; send the cats; dipper, you’re in the smoke”, ends one of his jazz pieces (40). “There was the Oliver-Armstrong-Marable-Noone-Dodds brothers influence in that”, shoots another (41). And there is this one as well: “On the Armstrong side, there is a ‘blue five’ that isn’t blue by a long shot, only half a rhythm section and a lot of ragtime ree-dee-dee” (42). Rarely is such a degree of lingua franca phrasing, of jazzy jive, to be found in his film reviews, and it is utterly absent from “Hollywood’s Gift”. This piece’s relative moderation is also apparent in its themes of dramatic truth and performance – two issues that would be of interest to the primarily theatre-going readership of Theatre Arts. One might just as well have titled this piece “Going to the Theatre at the Movies”. However, contrary to the suggestion that this amounts an article that is not “truly Ferguson”, I would contend that this change in tone, writing style, and theme brings to light a distinctive facet of his criticism. In this piece, Ferguson acts as an “Apostle to the Gentiles”, as a diplomat in a hostile land, suggesting to admirers of the “traditional” theatre several current films that may be of interest to them and then offering insightful (if brief) commentary on them in a manner that highlights the dramatic capabilities of this medium. Most of the films on exhibit in the piece contain some elements that one might term “highbrow”. The sample includes Mutiny on the Bounty (Frank Lloyd, 1935), adapted from the novel and featuring the monumental performance by British actor Charles Laughton; Dostoyevsky’s Crime and Punishment (Josef Von Sternberg, 1935) with Peter Lorre’s performance at its core; an adaptation of Eugene O’Neill’s Ah, Wilderness! (Clarence Brown, 1935); not to mention the Marx Brothers’ A Night at the Opera (Sam Wood, 1935). Other films, like Show Them No Mercy (George Marshall, 1935), receive mention as well, and though they may not incorporate High Culture references or sources, Ferguson cites them in defence of the legitimacy of the movies. Thus he uses the piece as a timely opportunity, by virtue of the quality of these films and their original sources, to offer a subtle polemic in favour of film, disguised as a ‘best of’ piece on the 1935–early 1936 season. The work of a player is the crux of his brief examinations of Crime and Punishment and Mutiny on the Bounty. 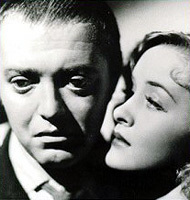 Regarding the former, by stating that Peter Lorre “is above all other actors I can think of in using the best resources of the screen”, Ferguson makes a suggestion that must have been intriguing to readers of Theatre Arts. This is the view that there is a kind of performance appropriate to theatre that may not be appropriate to film and vice versa. The strength of the oxymoron he employs (“dynamic/ inertia”), demonstrating as it does the conflict between imposed containment and the urge for release, illustrates itself best in this film when applied to the scenes in which Lorre is called into the Inspector’s office. Lorre’s Raskolnikov visits the office four times, and a measurement of the contrasting characteristics of his body manner in these four segments suggests the opposing forces of dynamism and inertia at work on this unstable film character. Two of the three notions of realism discussed earlier surface here as well. Show Them No Mercy is “a drama for our times” and therefore a piece with certain timely themes (44). Ferguson’s brief earlier critique of this film and Ah, Wilderness!, “To Act One’s Age”, while not entirely roseate, did call attention to its accomplishments: above all, its action, its vivid violence, lends it its “modern” flavour and grants the narrative its place as a drama of “this” age. “It is a credible story of men”, our critic remarks succinctly, and he links this quality directly to the film’s visceral action, “which is conceived and managed so as to be direct, surely dramatic, inevitable, and full of terror” (45). The “contemporary” tenor of the violence accounts for the film’s dramatic power. Expanding on this account, Ferguson maintains in “Hollywood’s Gift to Broadway” that the film’s many death scenes never expose themselves as “staged”. Unlike the proscenium arch, the movies have mastered the skill of “fattening a personality before killing it, of mixing bacon-and-eggs and wisecracks and petty bickerings with the desire for escape, life” (46). Thus, film’s ability (and willingness) to recall the most banal features of a person and of his/ her interaction with others, to compound ordinary with the extraordinary, accounts at least partially for the intensity of effect found in movie death scenes. In this manner, the timely themes of kidnapping and violent death that this film unearths are quickened by another one of film’s “realist” capabilities: its facility in recalling the “real presence” of events, environments. And yet Ferguson finds the film charming. As is often the case, his criticism betrays a much greater interest in the “how” than the “what”. “How” the film is made injects it with liveliness and elevates it to the level of “a first-class atmosphere piece”. The “background” of the film, its re-creation of the “local color” of life of the New England country, “as dead but as vivid in the general memory as the smell of leaves burning in piles along the gravel walks”, are made to glow “by the screen’s flexibility as a medium” (47). Its “details” therefore become “an active part of the picture”, due in the main to the filmmakers’ having gone “on location in North Grafton, Massachusetts” (48). “Much of the film is silly”, he admits, “but Ah, Wilderness remains a job of picture making, in craftsmanship and feeling, that is wonderful to see” (49) “to the extent of saying that in this instance the movies have used their own genius to make quite a lot out of very little” (50). Aside from the location shooting, Ferguson seems to have some difficulty pinpointing what elements of the “how” accomplish this feat. Nevertheless, his point, directing one’s attention to non-narrative “intangibles”, is to insist that the filmmakers used processes that resulted in the transformation of this material beyond the scope of the original source. The slightest, almost unintended touches in Ah, Wilderness! make of it a moderate success, whereas the loads of devices stockpiled and intended to generate meaning in Citizen Kane, reviewed by Ferguson in June 1941, make of it a monumental failure. 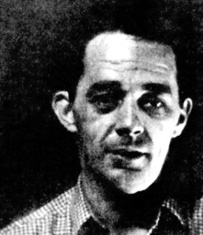 His two pieces on Welles’ film, “Citizen Welles” and “Welles and His Wonders: II” make suitable companion pieces to “Hollywood’s Gift”, “East River Hamlet”, and “Life Goes to the Movies”, for they compile all of the critic’s views and techniques and perhaps mark the culmination of his critical output. Here, Ferguson marshals all of his energy to deter his readers from the unchecked fanaticism surrounding the film and its release. Seeking to demystify its makers and their techniques, he offers the simplest of objections: the film fails to make us “feel”. Of course his support for this claim turns on the technical aspects of the film and the manner in which they bombard with their mechanical frostiness. “Citizen Welles” shoots very straight. The final product, our critic argues, is lumpy. In between dramatic high points “is talk and more talk” which cinematographer Gregg Toland tries in vain to mask with “crane shots and pan shots”, “funny angles” and “partial lighting”. As he often repeats, all of these “tricks and symbols” “won’t help”. Welles, it is claimed, simply does not know much about the basic job of directing, where the “main problem is always story, story, story”. “The real art of the movies concentrates”, suggests Ferguson, “on getting the right story and right actors, the right kind of production and then smoothing everything out” (51). “Like the motion in the ocean” is the way that our critic describes the flow that films should maintain. Kane‘s technical self-indulgence, its pretentious assault on its own story, defies this motion, tearing open its illusion and dissecting it for all to see, and what appears to offend Ferguson most is that it occurs to the benefit of Welles’ reputation. …the most important thing in the technique of a motion picture…is its construction shot by shot, not for the effect or punch line of any one fragment, but for such devising and spacing as avoid monotony, hold interest, and lead easily from one thing to another, the devices for illusion being always and necessarily hidden in the natural emergence of the illusion itself (52). These things are all written into the accomplished cameraman’s handbook. There is nothing newer about shooting into lights than shooting into the sun, but there is, I suppose, something new in having the whole book thrown at you at once (55). By making lengthy inventories of the film’s various techniques and then undercutting them Ferguson either sheds doubt on the genuineness of the effect that they create or questions the originality of their usage, as in the case of the camera angles “so thoroughly kicked around by experimental films” (56). The culmination of his indictment of this film comes when he calls Orson Welles himself into question. 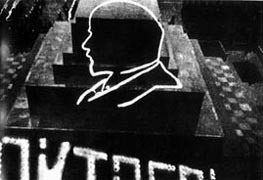 Denouncing Welles for the “recklessness of the independence” that he has granted these techniques (usually used “for” something), Ferguson aggressively calls this film a “retrogression” in “screen technique”, doubting Welles’ actual desire to make films and insinuating that the label “genius” that he has acquired is a result of Hollywood “fanfare” and little else. Kane therefore comes off as an advert for its maker and for film’s mechanical equipment, drawing attention to and generating excitement over both and mocking those who seek honest engagement in the stories movies tell. Returning to “Hollywood’s Gift to Broadway”, what has been called Ferguson’s technical and formal acumen is virtually absent from it. One can speculate that the reason for this is because he did not believe it necessary given the films discussed, or, in the context of a readership that perhaps would not be particularly receptive to technical film jargon, he did not believe it useful. This, of course, is in stark contrast to his reliance upon technical and formal analysis in his passionate take on Citizen Kane. It has been argued that Ferguson’s realism is protean, shifting as it shapes itself around a variety of movies and drawing from them at least three kinds of redeeming “realist” traits. But it has also been contended that he shows little difficulty adjusting his voice to make it appropriate to the matters at hand. It would be inaccurate, I judge, to cede to the view that he was merely pandering to the Theatre Arts readership in his “Hollywood’s Gift” piece, for that would be to deny the force of his claims and the soundness of his insights. Ferguson was making a strong effort, in the issues he was treating and in his tone, to court or invite the potentially hostile readership of this magazine to see some of these films and to engage them in a reflective fashion. Defending a viewpoint with appropriate support (technical or otherwise) and expressing it in honest words at the service of a dependent readership is clearly his standard for sound critical judgement in print. It is precisely on this point that our critic may be offered as a model for responsible film commentary – particularly in the province of academic film writing where basic legibility and accessibility to a wide audience has been ignored and even rebuked as a criterion for dictating practice. According to Ferguson’s model, and those offered by other prominent frontline film critics as well, expertise need not – in fact, ought not – alienate or intimidate. Film studies scholars, theorists, and historians might begin to ask themselves just whom they intend to reach and what difference they intend to make if the general public and contemporary film critics as well find their work generally inaccessible and therefore unsuitable for regular consultation for guidance. If academic film writing is too highfalutin’, too jargon-riddled to speak to a large chunk of filmgoers, the result of which is critical-academic autism, then should not the example of a critic like Ferguson be observed and learned from? If his folk sensibility or his self-perceived intimacy with regular moviegoers and their ordinary experiences offends some readers and invites charges of naïveté, it is unquestionably redeemable for that which accompanies it: Ferguson’s sense of community. He respects those who read his work, tries to invite their confidence, and recognises the responsibility connected to his role as a “pedagogic-critical shepherd” (57). Ferguson’s criticism is therefore not all ruffles and flourishes, nor is it merely in favour of opposition for opposition’s sake. Differently stated, it does not rely merely upon random colloquial jabs at the “stuffy museum” sensibility that was encroaching upon the territory of the movies to persuade its readership. The fashion in which he is typecast in overviews of his output shuns the true broadness of his sensitivity toward the medium and renders mute the diplomatic critical voice he bears in “Hollywood’s Gift”. The importance of considering articles, essays and reviews not compiled for critic’s anthologies (in this case, a debt is owed to Dorothy Chamberlain and Robert Wilson, editors of The Otis Ferguson Reader) cannot be overemphasised. The errant review, the lesser-known essay that slips through the cracks could potentially yield significant results, forcing one to turn the prism slightly and bend the light we project onto a given critic in ways otherwise unforeseen, unexpected, or even undesired. Methodological considerations aside, the elusiveness of the ordinary experience of the movies, the extent to which they evade verbal or written transcription and the utmost urgency involved in the continued pursuit of original voice form the core of Ferguson’s criticism. In addition to this, his insistence on the tripartite obligation of the critics to the film, its makers, and most notably, to the readers of his reviews might be taken as a rule of conduct to keep in check the writings of critics, academics, theorists and the influence they exude over perception of the movies. His activity as an early film specialist and populist (a difficult paradox well-handled by Ferguson), using ordinary language to investigate films as they are released and to educate his readership, is nothing short of a model of film writing that seeks to matter. Whitney Balliet, “Otis Ferguson”, Collected Works: A Journal of Jazz, 1954–2001, St. Martin’s Griffin, New York, 2002, pp. 618–620. John Baxter, Hollywood in the Thirties, Paperback Library, New York, 1970. John Casey, The Language of Criticism, Methuen, London, 1966. Leo Charney, “Common People with Common Feelings: Pauline Kael, James Agee, and the Public Sphere of Popular Film Criticism”, Cinemas, vol. 6, no. 2–3, 1995, pp. 113–125. Malcolm Cowley, “Foreword”, In the Spirit of Jazz: The Otis Ferguson Reader, Da Capo Press, New York, 1997, pp. ix–xix. David Denby, “In Defense of a Popular New Art Form”, Awake in the Dark: An Anthology of American Film Criticism, 1915 to the Present, Random House, Toronto, 1977, pp. 3–8. Otis Ferguson, “Doldrum Weather”, The Film Criticism of Otis Ferguson, pp 229–232. Otis Ferguson, “The Picture of the Bounty”, The Film Criticism of Otis Ferguson, pp 103–105. Otis Ferguson, “Nertz to Hertz: The Sad Air Waves”, In the Spirit of Jazz: The Otis Ferguson Reader, pp 128–133. Otis Ferguson, “The Spirit of Jazz”, In the Spirit of Jazz: The Otis Ferguson Reader, Da Capo Press, New York, 1997, pp. 68–73. Otis Ferguson, “Teddy Wilson”, In the Spirit of Jazz: The Otis Ferguson Reader, pp. 84–6. Otis Ferguson, “Voices: When the Wind is Right”, In the Spirit of Jazz: The Otis Ferguson Reader, pp 121–5. Otis Ferguson, “Origins of Jazz: I”, In the Spirit of Jazz: The Otis Ferguson Reader, pp 2–12. Stanley Kauffmann, and Bruce Henstell, ed, American Film Criticism: From the Beginnings to Citizen Kane, Liveright, New York, 1972. Robert M. MacGregor, et al, ed, Theatre Arts Anthology: A Record and a Prophecy, Theatre Arts Books, New York, 1950. Greg Taylor, Artists in the Audience: Cults, Camp, and American Film Criticism, Princeton University Press, Princeton, 1999. William Troy, William Troy: Selected Essays, Rutgers University Press, New Brunswick, 1967. Alfred Kazin, Starting Out in the Thirties, Random House, New York, 1980, p. 30. Saverio Giovacchini, Hollywood Modernism: Film and Politics in the Age of the New Deal, Temple University Press, Philadelphia, 2001, p. 135. Ferguson rarely if ever uses the term “theatrical”. It is being employed here in order to highlight that he did not necessarily react negatively to films that bear characteristics that one might describe as “indigenous to the art of theatre” or that are adapted from the theatre and other such supposedly “highbrow” sources. Otis Ferguson, “The Case for the Critics”, The Film Criticism of Otis Ferguson, Temple University Press, Philadelphia, 1971, p. 413. Otis Ferguson, “Hollywood’s Gift to Broadway”, In the Spirit of Jazz: The Otis Ferguson Reader, Da Capo Press, New York, 1997, p. 146. Ferguson, “Hollywood’s Gift to Broadway”, p. 146. Myron Osborn Lounsbury, The Origins of American Film Criticism, 1909–1939, Arno Press, New York, 1973, pp. 410–11. Robert Warshow, another valuable pre-academic film writer, discussed the enduring impact of the decade in which Ferguson wrote on the American intelligentsia in “The Legacy of the 30s”, an essay from his collection The Immediate Experience. The 30s sees the development of a unique problem: the emergence of a “middlebrow mass culture” that simultaneously “represented the lowering of the level of serious culture” and the raising of the level of “popular culture”. Being a new phenomenon, “there was no firm base” from which to examine its effects, continues Warshow. This problem was, for the critic or cultural commentator, one that ran deeper than politics. It is primarily a “problem of experience”, of “feeling”, of a culture that sought “to distort and eventually to destroy the emotional and moral content of experience, putting in its place a system of conventionalised ‘responses.’” The challenge in this context, which bombards to the point of being a “standing threat to one’s personality”, is one to authentic communication, to language. “The serious prose writer”, Warshow suggests, “must evolve some method of understanding and communicating experience directly – as it really is, as it really feels”, that “seems to inhere in the experience itself”. See Warshow, The Immediate Experience, Harvard University Press, Cambridge, 2001, pp 3–18. Otis Ferguson, “Life Goes to the Movies”, The Film Criticism of Otis Ferguson, Temple University Press, Philadelphia, 1971, p. 3. This article, written in 1938, was never published, and appeared for the first time in The Otis Ferguson Reader. In Part I Ferguson argues that there are two sources for American jazz music: the old songs of the “English and Irish and Scotch-Irish” immigrants and the “home music” of enslaved Africans (2–3). As Whitney Balliet, noted jazz critic for The New Yorker since the ’50s, illustrates, “[Ferguson] sometimes seemed to have blinders on” in the manner he wrote about white musicians and slighted the black ones. “White jazz was easier for a white man to come by in the flesh”, he continues, “and this availability is reflected in Ferguson’s output” (620). One could argue, by extension, that the fact that he often overlooked black musicians led to an over-estimation of the value of “white” folk music in the foundation of jazz. Perhaps his inability to confirm his hypotheses accounts for why this is an unpublished work, or a work in progress. Either way, in the cases both of “Origins” and “Life Goes to the Movies”, Ferguson was clearly not interested in compiling exhaustive histories, but in composing narratives on the collective histories, the shared experiences, of these arts. Such an activity is prone to oversight, factual imprecision and even poetic license. Ferguson, “Life Goes to the Movies”, p. 4. Ferguson, “Life Goes to the Movies”, p. 3. Ferguson, “Life Goes to the Movies”, p. 8. My emphasis. He writes: “This faster and more flexible camera eye we’re considering picks up half-finished lines, personal habits, street noise, shades of daylight, and a hundred familiar things, and when done with imagination and feeling – and only then – can become as near and eloquent as the room you’re in.” See Ferguson, “Life Goes to the Movies”, p. 10. Ferguson, “Life Goes to the Movies”, p. 8. Cited in Lounsbury, 1973, p. 372. Otis Ferguson, “Artists Among the Flickers”, in The Film Criticism of Otis Ferguson, pp 56–8. Ferguson, “Artists Among the Flickers”. Otis Ferguson, “Make Your Own Movie”, The Film Criticism of Otis Ferguson, pp 323–4. Cited in Lounsbury, 1973, p. 398. Otis Ferguson, “East River Hamlet: I”, In the Spirit of Jazz: The Otis Ferguson Reader, pp 151–2. Ferguson, “East River Hamlet: I”. Otis Ferguson, “The Camera Way is the Hard Way”, The Film Criticism of Otis Ferguson, p. 13. Ferguson, “The Camera Way is the Hard Way”, p. 17. Otis Ferguson, “The Man in the Movies”, The Film Criticism of Otis Ferguson, p. 385. Ferguson, “East River Hamlet: I”, p. 152. Ferguson, “East River Hamlet: I”, p. 153. Otis Ferguson, “East River Hamlet: II”, In the Spirit of Jazz: The Otis Ferguson Reader, p. 154. Ferguson, “East River Hamlet: II”, p. 155. Jonathan Rosenbaum, “They Drive by Night: The Film Criticism of Manny Farber”, Placing Movies: The Practice of Film Criticism, University of California Press, Los Angeles, 1995, p. 63. Ferguson’s fascination with underworld-argot wording can be seen in “The Poets Down Under”, his review of A Dictionary of Slang and Unconventional English, pages 173 to 177 of The Otis Ferguson Reader. Otis Ferguson, “Man … You’re Jivin’ me Crazy”, In the Spirit of Jazz: The Otis Ferguson Reader, p. 48. Otis Ferguson, “Jazz in New York”, In the Spirit of Jazz: The Otis Ferguson Reader, p. 33. Otis Ferguson, “Origins of Jazz: II”, In the Spirit of Jazz: The Otis Ferguson Reader, p. 15. Otis Ferguson, “Hollywood’s Gift to Broadway”, p. 149. Ferguson, “Hollywood’s Gift to Broadway”, p. 147. Otis Ferguson, “To Act One’s Age”, The Film Criticism of Otis Ferguson, p. 109. Ferguson, “To Act One’s Age”, pp. 108–9. Ferguson, “Hollywood’s Gift to Broadway”, p. 151. Ferguson, “To Act One’s Age”, p. 109. Ferguson, “Hollywood’s Gift to Broadway”, p. 150. Otis Ferguson, “Citizen Welles”, The Film Criticism of Otis Ferguson, Temple University Press, Philadelphia, 1971, p. 365. My emphasis. Otis Ferguson, “Welles and His Wonders: II”, The Film Criticism of Otis Ferguson, p. 368. Emphasis in original. Ferguson, “Welles and His Wonders: II”, p. 370. Ferguson, “Welles and His Wonders: II”, p. 368. Ferguson, “Welles and His Wonders: II”, p. 369. George Steiner, Real Presences, University of Chicago Press, Chicago, 1989, p. 23.